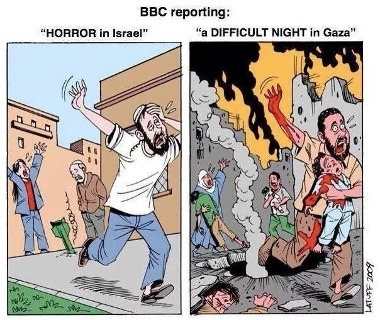 Even BBC’s coverage, however, would be better than we get in the US, where the bloody part on the right would be said to be Israeli victims of Palestinian bombs. That was disgraceful, and good grief, not an accident. Not an accident, OK? If these gaffes were accidental, every now and then one might go the other way. I know the mind of my readers, most of them anyway … I am just a tad presumptuous, I know. There was a discussion of the USS Liberty incident in 1967 over at 4&20 recently. People struggle to get their arms around that one. After scouting the ship, and knowing it was American, unmarked Israeli aircraft attacked it with intent to sink it and kill all aboard. Radio communications were shut down, but before the job could be completed, sailors managed to get a radio message out. The gig was up. The cover-up began. It was a false flag attack, the objective to blame Egypt and draw Americans into the war. It’s not hard to understand. It happens all the time. In fact, it would have been utterly stupid for Egypt to attack an American vessel, unleashing the beast. That’s why we have false flaggery. Someone has to do the stupid deeds that start wars. Vietnamese did not do Tonkin, the Spanish did not do the Maine, and the US provoked an attack inside Mexico in 1848. And yes, no Arabs were harmed in the making of 9/11. Once you grasp the essential feature of military thinking, false flaggery is easy to spot. Weak people do not beg to be attacked. Strong people have to do it for them. Why would Palestinians, basically defenseless, deliberately attack people with billions in military hardware sitting on hand? There’s an element of racism involved, the assumption that Palestinians are irrational and violent. They are not, or at least no more than anyone else. Israel planned that conflict, likely killed a few of its own citizens to start it. (That could well be staged as well, fake victims, just like Boston). All those bombs coming from Palestine into Israel that incidentally do no harm … are probably launched by Israeli agents inside Palestine. That’s my guess. My reasoning: No Israelis are harmed. The “why?” of it is a little harder to analyze, and will take months to sort out. It could be for sake of US and Israeli domestic politics, or it could be done to create a distraction while something else is going on. It’s a good time to be monitoring the foreign news agencies. Israel is currently bearing down in the West Bank, stealing yet more land. It could be a “look here, not there” ploy. False flaggery works every time due to the underlying faith people have in their own governments, that we don’t kill our own. In the discussion of the attack on the US Liberty, a commenter noted that the US response was soft, that LBJ let them get away with it. I find it inconceivable that the U.S. would have permitted the Liberty attack to have happened. No one could survive the publication of such complicity. On the other hand I was surprised that there were so little repercussions and that Israel was allowed to expand its territory unfettered, eventually settling for allowing the Sinai to return to Egyptian control. “Inconceivable!” He needed to do some conceiving. He let the contradictions stand rather than follow through to the logical conclusion. The flaw in that thinking is to assume that the US is a monolith, and that “it” would not participate in attacks on itself, killing its own citizens. That’s a bit of a tough matter to breach, but it must be done to understand these affairs. Yes, Israelis kill Israelis, Americans kill Americans. Twice before breakfast. Most likely LJB had no involvement in the Liberty affair, and it was presented to him as fait accompli. Had it succeeded, had there been no survivors, he might have believed that Egyptians were behind it. That was probably the intent. Understand the most critical feature, that factions within the Pentagon, its contractors and intelligence agencies, are not under executive control. It is they who planned and carried out the event. False flaggery usually has an element of coup d’état within it, one faction within government asserting its power over another. On 9/11 Air Force One went from Florida to Barksdale in Louisiana, home of the US Global Strike Command, and then to Offutt in Nebraska, the nerve center, the US Strategic Command. The planners of 9/11, shadowy forces within the US military/intelligence/industrial complex (MIIC), had presented the executive with an ultimatum. “Angel is Next” was the threat, and it was credible. Bush would be taken out if he did not capitulate. In the face of actors within his own government having access to the nuclear arsenal, Bush announced that night that they would have their desire, new wars, first a giant move against Russia in Central Asia, and more to follow. Merely following American news is the key to darkness. The more you watch, the less you know. The news outlets, and sad to say at this late date, all of them, are under MIIC control. As far back as the early 1950’s, the CIA under Operation Mockingbird set out to infiltrate the media. By the time of the JFK hit, media had been neutralized, and on 9/11 media was an active participant in a giant false flag event. Anyway, back to Israel, back to the Liberty: perhaps the hardest thing for people to grasp, given the activities of AIPAC and all of that, is that the flow of power is not from Israel to the US, though we are often allowed to think that way. Quite the opposite. The Mossad, CIA DIA ONI blah blah blah, MI5 and MI6 and Aussie and Canadian and even Swedish intelligence are not agents of countries, but powers unto themselves. This was true in 1967 as well, so that the attack on the Liberty was a false flag event spawned by the intelligence community on legitimate government to achieve a desired end, political cover for US entry into Mideast wars, even forcing its hand. It did not succeed as planned, and a cover-up was necessary. But it’s a nice window into how these events are staged and managed. So too does the murder of some Israeli kids, if even a real event, stand as evidence of staging for the sake of other objectives. The vigilant citizen then, when told to look here and not there, ought to be looking there and not here. Wow. As we speak, an errant Ukrainian shell lands in a Russian city, and Russia pledges severe consequences. Kiev is claiming false flaggery. This bears watching, as the US objective in Ukraine, from the beginning, has been to draw Russia into a military sinkhole, as with Afghanistan, 1979. AIPAC is much more than Israel’s lobby group. Whether the U.S. or Israel is “in charge” is unimportant. Who controls money? Who is the Federal Reserve? How did private bankers happen to take over control of U.S. currency, unterest rates and national debt? Oligarchs have specific beliefs and plans. “Too big to fail” is just another way of saying that national and international laws do not apply to this group of people. What group is that? I agree that outside looking in it appears to be monolithic and treating it as such is harmless. I don’t see any oligarchical factions at this time working for greater good. We are deep in pathocracy. You do know, and I’m just checking here, you do know that he was talking about Israeli soldiers and Palestinian kids, right? Did you go from believing Hedges was writing about Palestinians killing kids and believing it to him writing about Israelis killings kids, and thinking he’s a liar? Actually I read Christopher H and thought it was Hitchens, a known anti-zionist. Very difficult to pigeonhole people, but we do our best, don’t we. Hedges graduated from Harvard Divinity and made a career in journalism before writing what he saw forced him to the margins. Seeing Israeli soldiers shooting children for sport, and then writing about it, made him a non-person. His job was to see it and ignore it. He did not get it. I find him difficult to read, far too etherial. Here’s a question to ponder. How come Gaza has no bomb shelters? Have a nice evening, Swede. I will leave you to your thought.